NEW YORK -- Luke Voit heard the "Luuuuuke!" chants during pre-game introductions, and that got the exuberant, oversized slugger going. "Man, it fires me up every time," he said. A fast-rising fan favorite in the Bronx, Voit kicked off the season with a first-inning homer, backing a strong opening day effort by Masahiro Tanaka in New York's 7-2 victory over the Baltimore Orioles on Thursday. Voit launched a three-run drive off Andrew Cashner (0-1), and Greg Bird added a solo homer in the eighth, the first big flies for New York a year after the Yankees hit a record 267 en route to 100 wins. Of course, that wasn't enough to catch the rival Boston Red Sox, who won 108 games and a World Series championship. Voit was playing for the Cardinals' Memphis Redbirds last opening day, a then-27-year-old with limited major league experience. He was traded to New York in July, hit 14 homers in 39 games down the stretch and charmed fans with his big biceps and boisterous home run trots. "It's crazy how they took me in," Voit said. "I hope they don't boo me away too quick. I know it's New York, but I bring the energy, have fun with the guys, and I think the fans feed off of it." "I always feel good about giving the ball to Masa," Yankees manager Aaron Boone said. Brandon Hyde lost in his managerial debut with Baltimore. Hired to replace Buck Showalter, Hyde had just eight players at his disposal who played in last year's Orioles opener. Baltimore had won its previous three opening games with walk-off hits, but the rally never came against Tanaka and New York's vaunted bullpen. "I think the dugout seemed a little quieter than normal," Hyde said, adding "I thought the dugout was good. I just felt like it was quieter than normal because of some jitters from some younger players." Fans wore ski caps and jackets with the first-pitch temperature at 48 degrees, but also needed sunglasses for the majors' earliest ever opening day in the U.S. A giant American flag was unfurled in center field, a few Orioles fans revealed themselves by shouting "O!" during the national anthem, and the sellout crowd roared after Mariano Rivera delivered the ceremonial first pitch. The longtime Yankees closer became baseball's first unanimous Hall of Fame selection in January. "Today is a celebration of our sport," Boone said before the game. "Who would've thought I'd be here for opening day?" Voit said. "I always thought I would do it in a Cardinal uniform. It was super frustrating, getting hurt last year and missed opportunities to get called up with St. Louis. To have that first opening day and hit a home run opening day is pretty special." The rebuilding Orioles, coming off a 115-loss season, didn't exactly put their best foot forward. Baltimore's first inning at-bat ended when baserunner Jonathan Villar ran right into Trey Mancini's would-be base hit, resulting in an automatic out. "From our whole pitching staff today, just too many walks, too many base runners allowed," Hyde said. "It's tough to win that way." It wasn't all bad. Mancini had three hits, and right fielder Joey Rickard robbed Gary Sanchez with a diving catch in the fifth. Orioles: RHP Alex Cobb is recovering well from a right groin strain and is on track to pitch Baltimore's home opener April 4 against the Yankees. 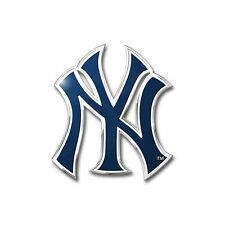 Yankees: New York put six players on the 10-day injured list to open the season, including RHPs Dellin Betances (right shoulder impingement) and Luis Severino (right rotator cuff inflammation), OF Aaron Hicks (lower back strain) and SS Didi Gregorius (Tommy John surgery). LHP CC Sabathia started serving his five-game suspension for hitting Tampa Bay's Jesus Sucre with a pitch in his last regular season start of 2018.